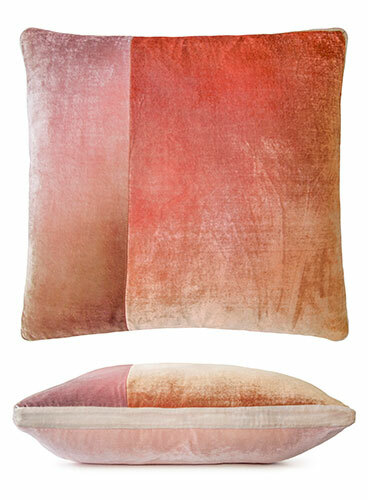 Kevin O'Brien Studio is a Philadelphia-based textile design company specializing in hand-painted velvet. 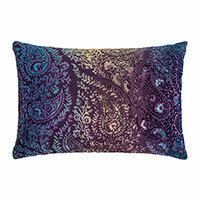 Our line includes bedding, pillows, scarves, throws & more. Our latest debuts are easy-care cotton coverlets that pair beautifully with new Elba merino throws & our trademark pillows. The iconic zig zags of our chevron pattern have a simplicity that pairs well with other designs. Zip closure; comes with a feather/down insert. 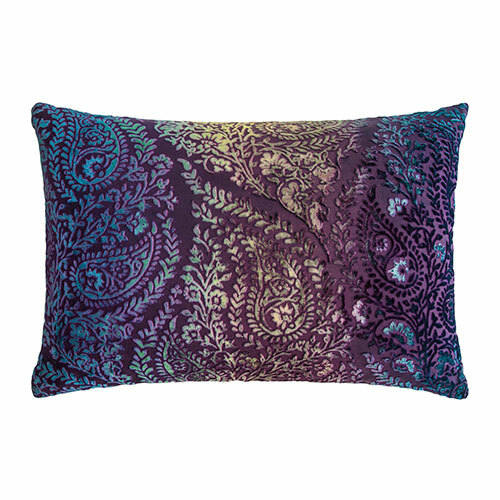 Henna is a lush ornamental design made of swirling large-scale paisleys. Zip closure; comes with a feather/down insert. 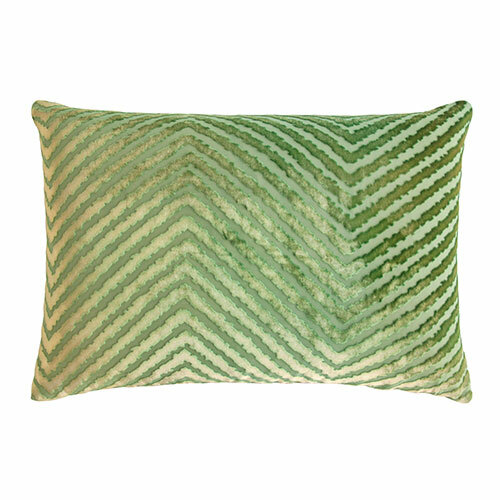 Patches of shining velvet colors are united into a coordinated palette on each of our color block pillows. Zip closure; comes with a feather/down insert. 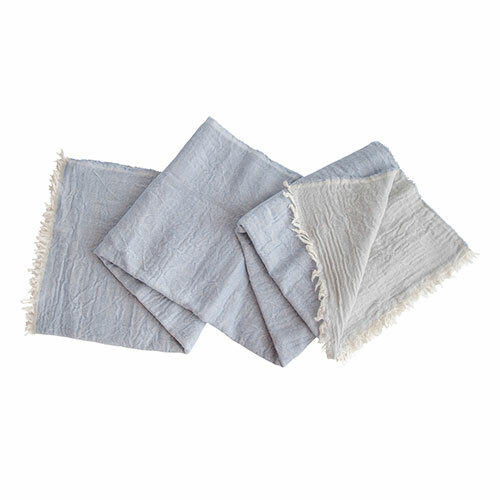 The Elba throw is woven using extra fine 100% merino wool, with a beautiful natural finish edge. Henna is a raised pattern, adding depth to the lush ornamental design. 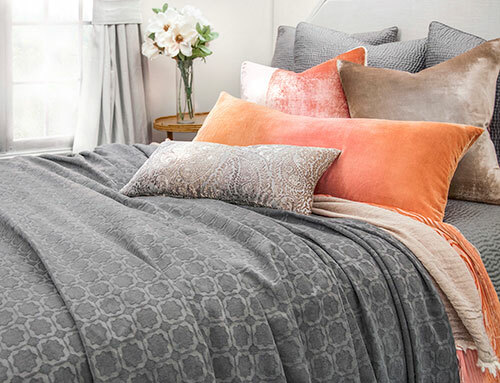 Our easy-care bedding line pairs beautifully with our luxe decorative pillows. Blossom accents are pictured. Starflower is a versatile geometric tiled pattern with a cozy soft texture. 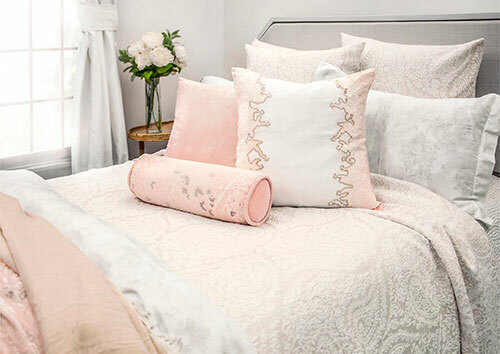 Our easy-care bedding line pairs beautifully with our luxe decorative pillows. Mango & coyote accents are pictured.